Never a doubt. Never a mistake. Always for justice. Never for revenge. She's the person you hire when you need something fixed-permanently. With a strict set of criteria, she evaluates every request and chooses only a few. No more than one job per country, per year. She will only step in if it's clear that justice will not be served any other way. Her jobs are completed with skill and precision, and never result in inquiry or police investigation. 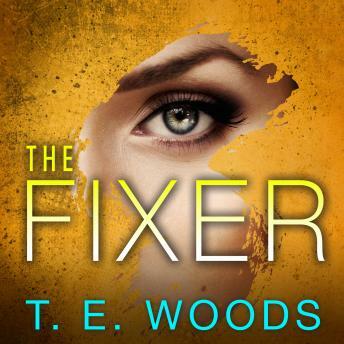 The Fixer is invisible-and quite deadly . . . . In Seattle, a detective gets a call from his son. A dedicated journalist, he wants his father's expertise as he looks into a suspicious death. Together they follow the trail of leads toward a stone-cold hired killer-only to find that death has been closer than either could have imagined. An interesting read. I wanted to listen to it all the time!